Huobi Korea argued that compatibility and infrastructure of personnel are needed for blockchain to be used in daily lives and that cryptocurrency exchanges play important roles when it comes to creating blockchain ecosystem. 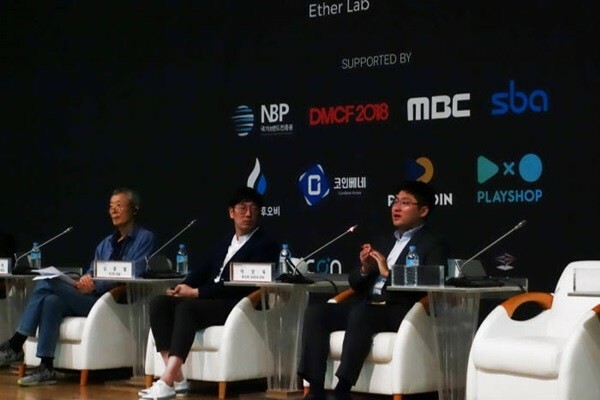 A cryptocurrency exchange Huobi Korea participated in an additional event of ‘DMCF 2018’, which was held in Sangam DMC, and presented future directions for exchanges and reality of blockchain industry. During a first session called ‘Opportunities Made by Blockchain Industry’ that took place on the 6th, CFO Lee Sang-wook of Huobi Korea explained that number of people working in blockchain industry in South Korea is significantly low and that many people are actually leaving the country to work overseas. He also pointed out that South Korea cannot embrace young talents due to various circumstances such as aging society, unemployment, and absence of regulations. He emphasized that healthy regulations and cooperation and efforts from both public and private circles are needed for blockchain industry to have competitive edge nationally. He also emphasized that cryptocurrency exchanges must put in efforts to create blockchain ecosystem. He said that exchanges are the medium that create many blockchain companies and raise values of these companies. During a session called ‘Digital Asset Transaction and Exchange’, Director Lim Kwan-ryong of Huobi Korea’s Value Management Office criticized the fact that many coins are still not used in daily lives. He explained that exchange coins that are currently popular are one of coins that are used as cryptocurrency investments as well as allotment. He also explained that exchanges must put in efforts into various fields such as investment and development to create cryptocurrency and blockchain ecosystems and that security cannot be comprised when it comes to managing customers’ digital assets.